This 39" necklace just keeps going! 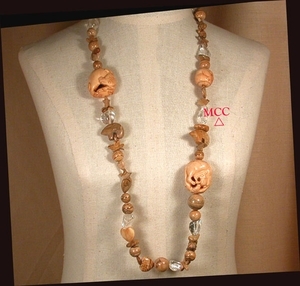 In gorgeous natural earth colorings, it will be one of your staples, and can be worn full length, doubled up, or even as a belt! We've used carved natural bone animals including a cougar; and carved old picture jasper beads with their 3D looking patterns in rounds, stars, hearts, a pair of Zuni bears, and birds in flight. 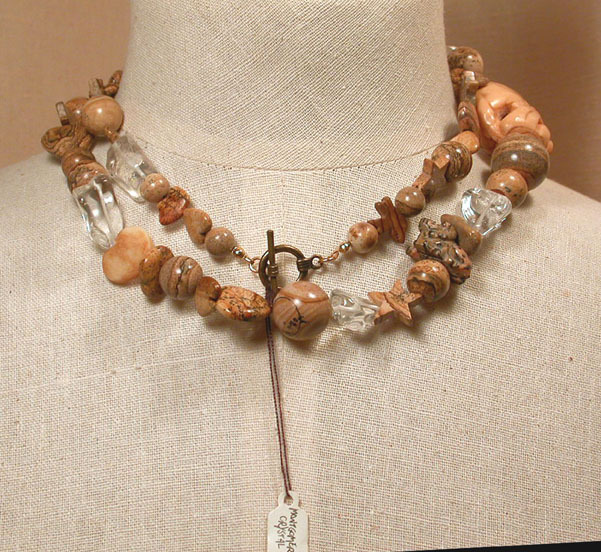 Punctuated with rock crystal smooth nuggets, we've added a bronze toggle clasp, and a leopardskin jasper animal, too.